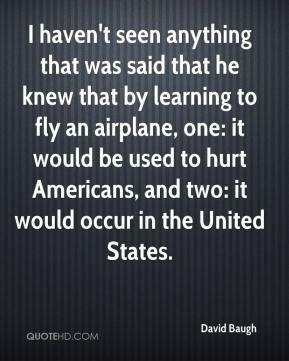 I haven't seen anything that was said that he knew that by learning to fly an airplane, one: it would be used to hurt Americans, and two: it would occur in the United States. 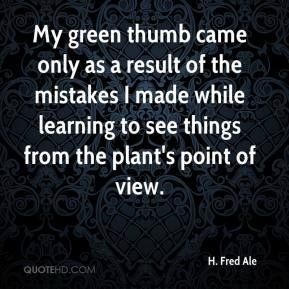 Increasingly I've had to learn to be less single-minded, to manage the whole complexity. 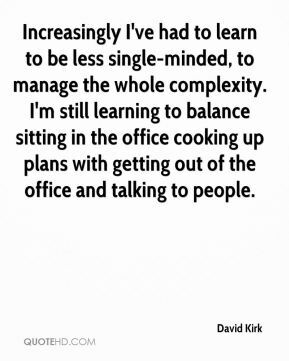 I'm still learning to balance sitting in the office cooking up plans with getting out of the office and talking to people. 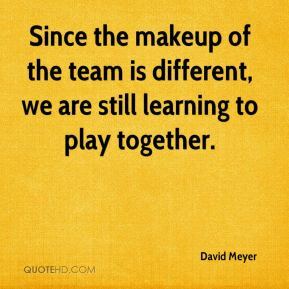 Since the makeup of the team is different, we are still learning to play together. 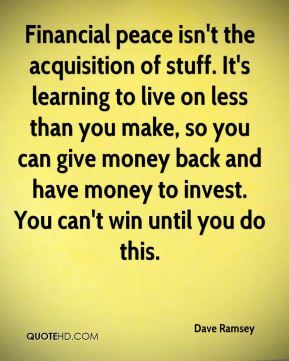 Couples are learning to spend wisely. 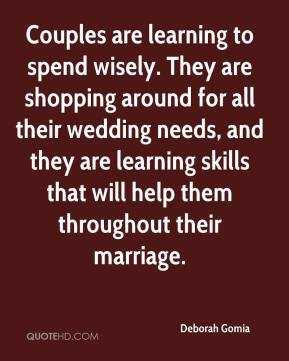 They are shopping around for all their wedding needs, and they are learning skills that will help them throughout their marriage. 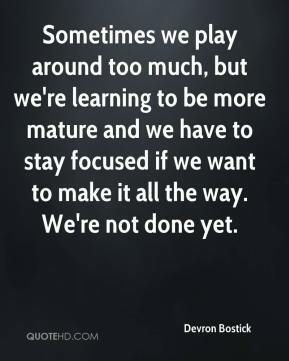 Sometimes we play around too much, but we're learning to be more mature and we have to stay focused if we want to make it all the way. We're not done yet. 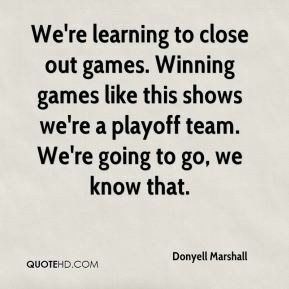 We're learning to close out games. Winning games like this shows we're a playoff team. We're going to go, we know that. 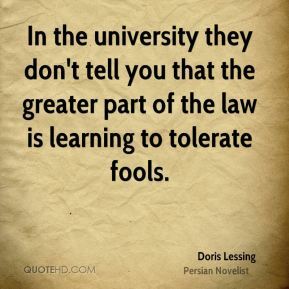 In the university they don't tell you that the greater part of the law is learning to tolerate fools. 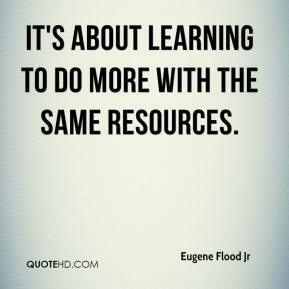 It's about learning to do more with the same resources. 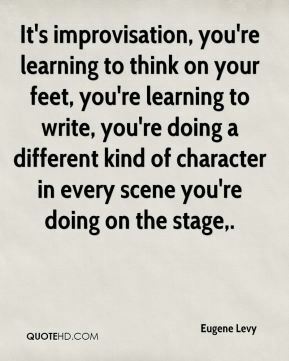 It's improvisation, you're learning to think on your feet, you're learning to write, you're doing a different kind of character in every scene you're doing on the stage. He's just learning to run. 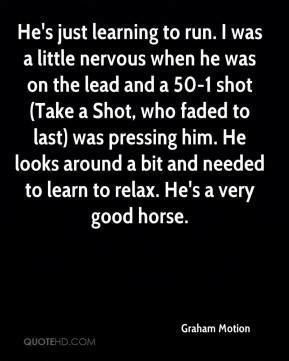 I was a little nervous when he was on the lead and a 50-1 shot (Take a Shot, who faded to last) was pressing him. He looks around a bit and needed to learn to relax. He's a very good horse. She's young and has got some learning to do, but we think a lot of her. 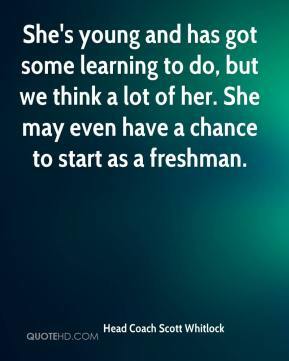 She may even have a chance to start as a freshman. 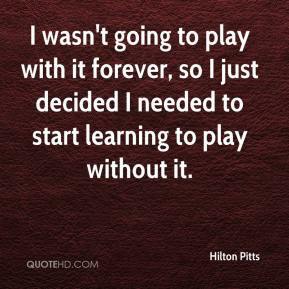 I wasn't going to play with it forever, so I just decided I needed to start learning to play without it. 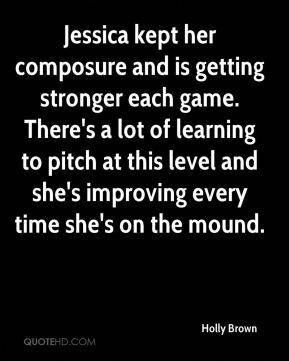 Jessica kept her composure and is getting stronger each game. 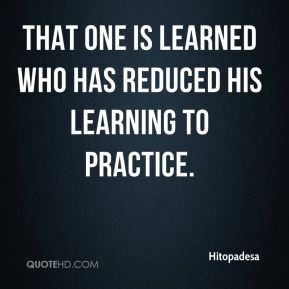 There's a lot of learning to pitch at this level and she's improving every time she's on the mound. 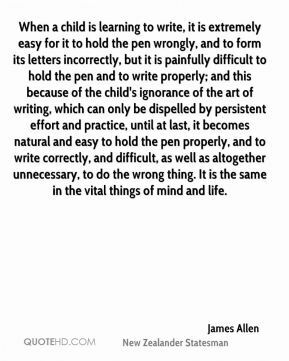 When a child is learning to write, it is extremely easy for it to hold the pen wrongly, and to form its letters incorrectly, but it is painfully difficult to hold the pen and to write properly; and this because of the child's ignorance of the art of writing, which can only be dispelled by persistent effort and practice, until at last, it becomes natural and easy to hold the pen properly, and to write correctly, and difficult, as well as altogether unnecessary, to do the wrong thing. 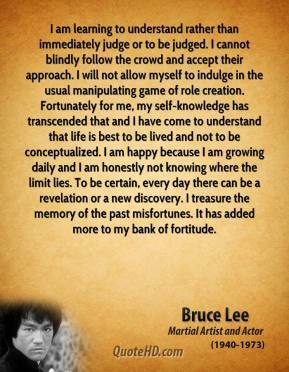 It is the same in the vital things of mind and life. 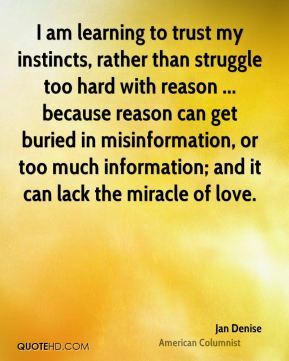 I am learning to trust my instincts, rather than struggle too hard with reason ... because reason can get buried in misinformation, or too much information; and it can lack the miracle of love. 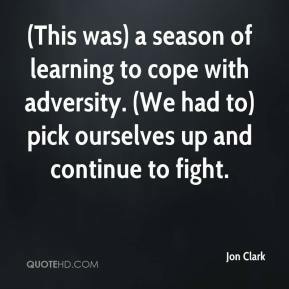 (This was) a season of learning to cope with adversity. 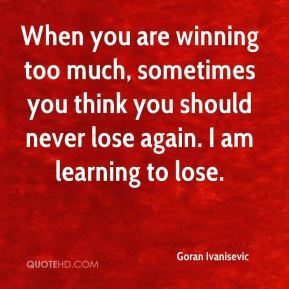 (We had to) pick ourselves up and continue to fight. 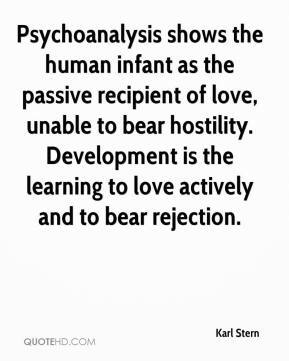 Psychoanalysis shows the human infant as the passive recipient of love, unable to bear hostility. 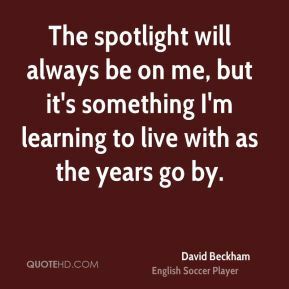 Development is the learning to love actively and to bear rejection.